This cheesy stromboli situation is brought to you by Sargento®, makers of 30 varieties of shredded cheese that is always cut from blocks of 100% real, natural cheese. It’s our personal favorite brand of shredded cheese in this cheese-loving household, so when they contacted me about participating in their Chopped at Home Challenge using Sargento’s sharp cheddar fine cut shredded cheese, there was no question. Challenge accepted. Bring on all the cheese. 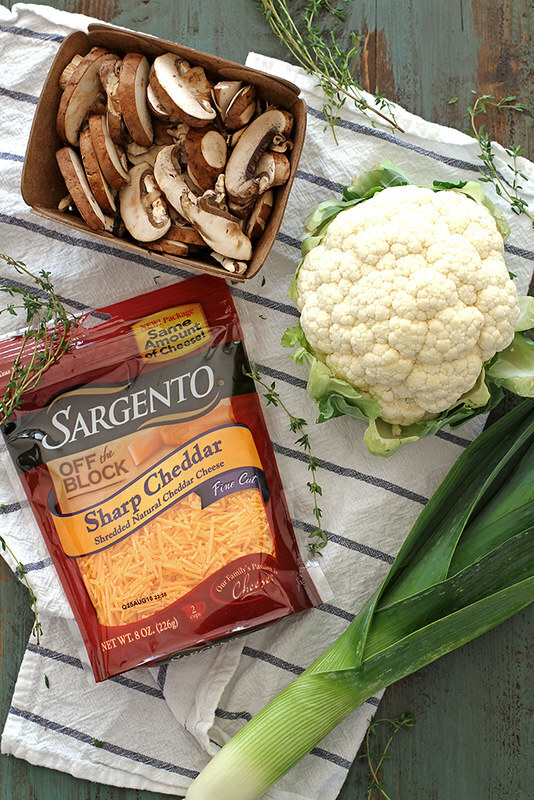 The rules of the contest are this: Use Sargento sharp cheddar fine cut shredded cheese, cauliflower, cremini mushrooms and leeks in an easy, real, cheesy comfort food recipe. 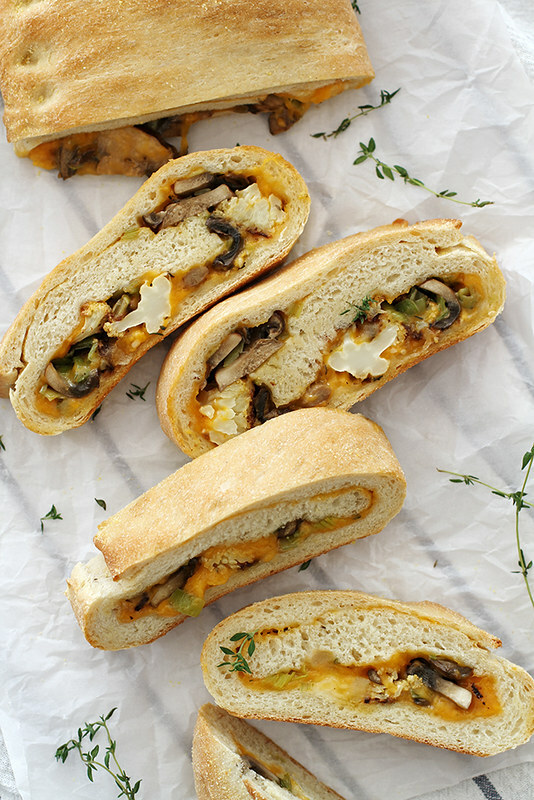 So that’s just what I did with this roasted cauliflower mushroom stromboli. 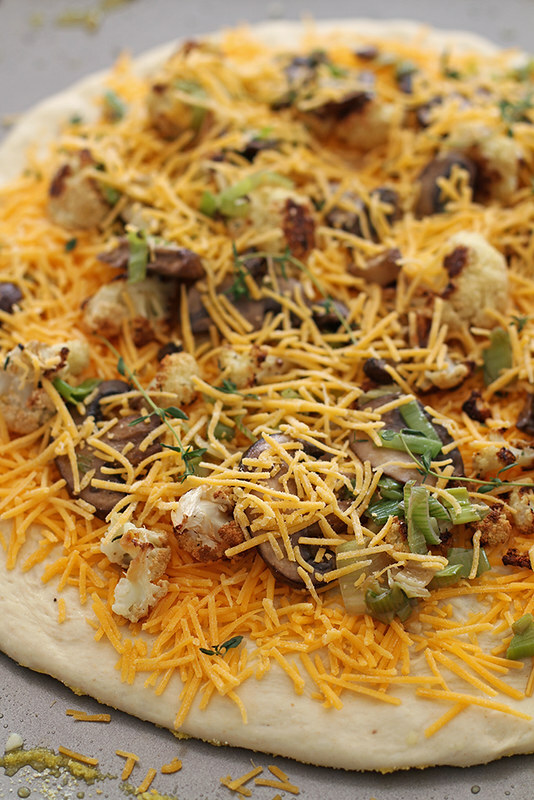 Roasted cauliflower florets and sauteed leeks and mushrooms are rolled into a homemade pizza dough along with garlic and fresh thyme. And CHEESE. Like, three cups of shredded cheese. You’re welcome? You’re welcome. 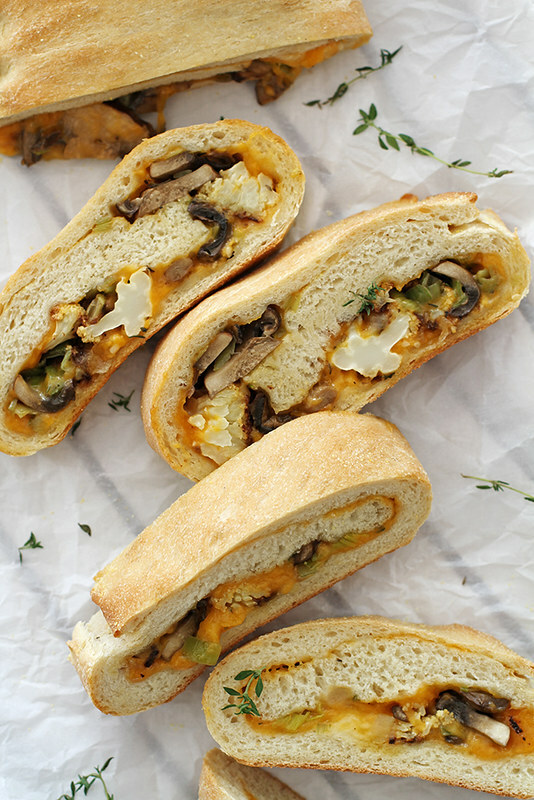 The result of all that goodness stuffed into a pizza dough is a gooey, melty, cheesy roll packed with roasted vegetable flavor. Even my veggie-averse husband scarfed down a few slices “for a snack.” And then we ate the rest for dinner. I’d say I was sad about that because that meant no more cheese, but I was smart and made sure to buy extra packages for later. More cheeeeez pleeeeeaaaaz. And for the grand finale: Now is your chance to get in on the Chopped at Home Challenge! You have until 9 A.M. TODAY to submit your recipe to FoodNetwork.com/ChoppedChallenge for the chance to win $5,000 and a trip to New York City to compete in a televised Chopped cooking challenge for a $10,000 grand prize. WHAT. Enter here now! Also, now through March 21, 2016 at 5 p.m., you can vote for the winning recipe here. Now go forth and CHEESE. 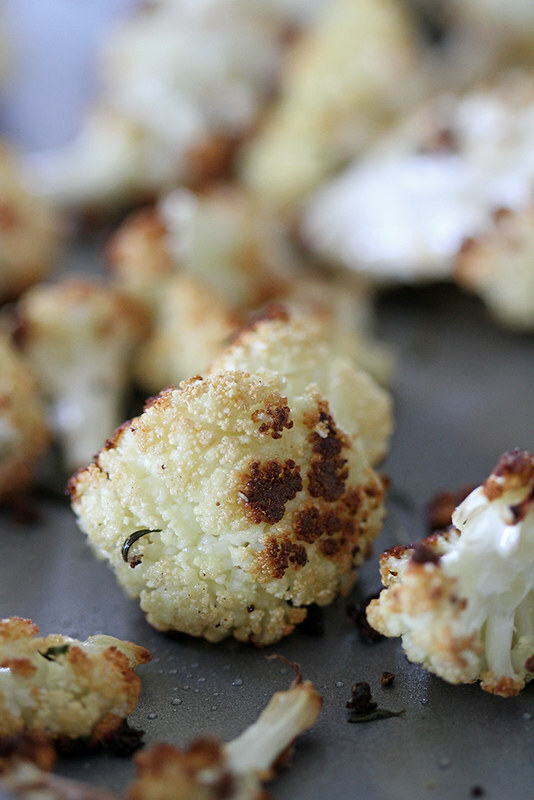 Heat oven to 400 degrees F. On rimmed baking sheet, toss cauliflower florets with 2 teaspoons fresh thyme leaves, 1 tablespoon olive oil and a sprinkle of salt and pepper. Roast 30 to 40 minutes, stirring occasionally, until softened and browned. Meanwhile, melt butter in medium skillet over medium-high heat. Add sliced leeks, mushrooms and more salt and pepper to taste. 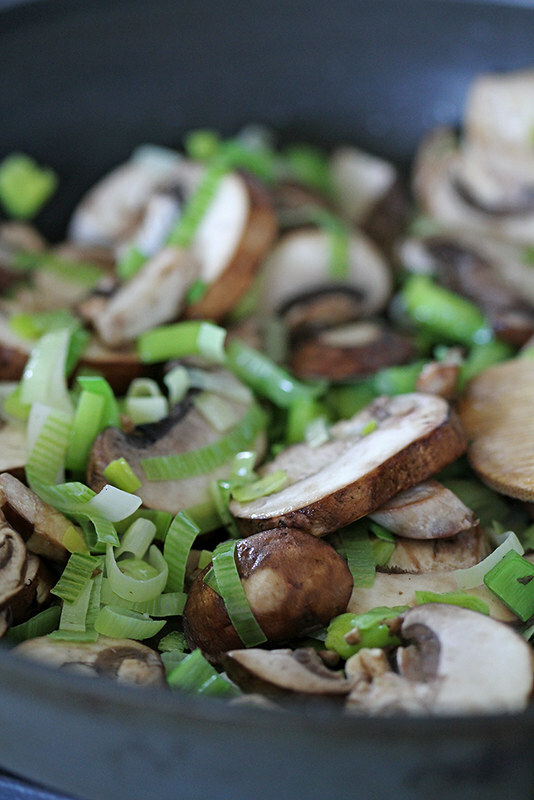 Cook, stirring often, 5 to 8 minutes until leeks and mushrooms are softened. Increase oven temperature to 450 degrees F. Brush 2 rimmed baking sheets with olive oil; sprinkle lightly with cornmeal. Press 1 ball of pizza dough on each baking sheet into 12-inch round. In small bowl, whisk remaining 2 teaspoons olive oil and minced garlic. Spoon or brush over pizzas. Sprinkle each pizza with 1 cup shredded cheese, then top evenly with roasted cauliflower, leek-mushroom mixture and remaining 1 tablespoon fresh thyme leaves. Top each pizza with remaining 1/2 cup cheese. Carefully fold top third of 1 pizza dough down, then fold bottom third of pizza dough up. Press and pinch seam to seal. 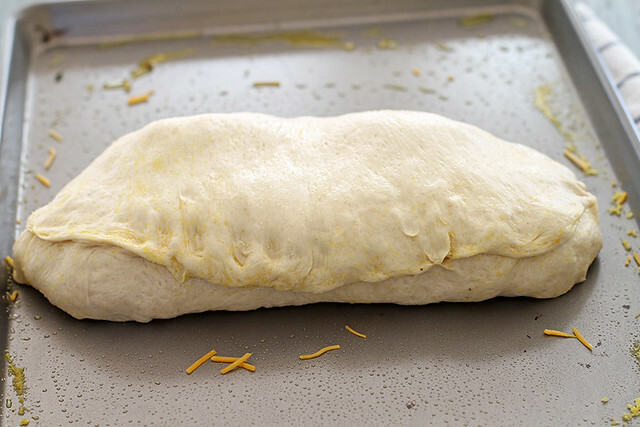 Press and fold over shorter edges of dough to seal. Repeat with remaining pizza. Bake pizzas 20 to 25 minutes until crust is baked through and golden brown, rotating sheets halfway through baking. Let pizzas cool 5 minutes before slicing.